A fantastic fantasy… for a while anyway. 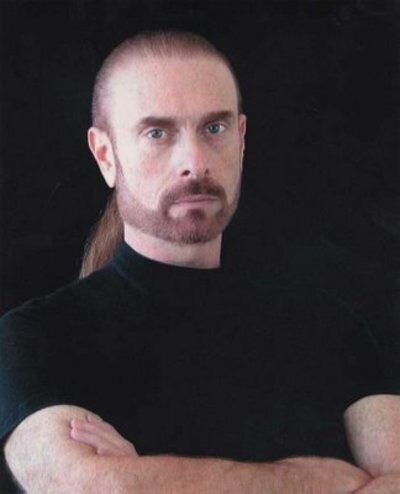 The Sword of Truth fantasy series written by Terry Goodkind is about a man called Richard Cypher whose father is murdered. The murder sets off a chain of curious events sparking Richard’s drive to discover the truth. Along this journey, a mysterious woman, Kahlan Amnell shows up and convinces Richard she needs his help. Throughout the series, these two characters journey through the lands, meeting strange races and creatures, settling disputes and discovering secrets to save the land from its evil ruler, Darken Rahl. 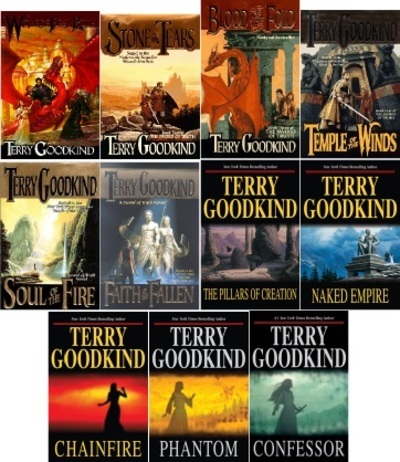 It is easy to get lost in the world that Terry Goodkind created with his story. There are many interesting and strong characters, such as the quirky First Wizard, Zeddicus Zu’l Zorander. The relationships between characters delve into moral and ethical issues, compelling readers to continue reading to see how such problems are solved. Basically, it makes for an entertaining fantasy read while provoking some thinking about where one stands in the world. There is a strong thread of encouraging readers to live their own lives as their own people, not mindless followers of the masses, while adhering to personal codes of integrity. I enjoyed the series, consuming each book eager for the next… that is, until I got to book #7 - The Pillars of Creation. At this point, I was thrown off because I was expecting to find out more about Richard and Kahlan, and the rest of the characters I had come to know and love. By the time I got halfway through The Pillars of Creation, I realised Richard and Kahlan weren’t about to put in an appearance anytime soon and resigned myself to getting through the book. If it wasn’t for that expectation, I would probably have enjoyed the storyline of this particular book more. Then along came book #8 - The Naked Empire. Yay, back on track. However what was this? The writing style seemed different, more stilted, leaning towards the egotistical. I began to wonder if the author was seeing himself in Richard Cypher; and all the incessant talk of raptor eyes when describing Richard got on my nerves enough to pique my curiosity. I flipped to the back cover to see the photo of the author and had to choke back laughter. Yes. Indeed the author was getting hung up on attributing his raptor stare to Richard… or vice versa. Who knows. In any case, I finished the book and just could not bring myself to bother attempting #9. A great series, well worth reading up to #6. (Yes, #6 goes out with a satisfying bang). On a side note, have a closer look at the book covers. It is interesting to note the awesome and well-designed covers stop after book #6 too. Maybe this is one series where it is safe to judge a book by its cover. What do you think of the Sword of Truth series past book #8?